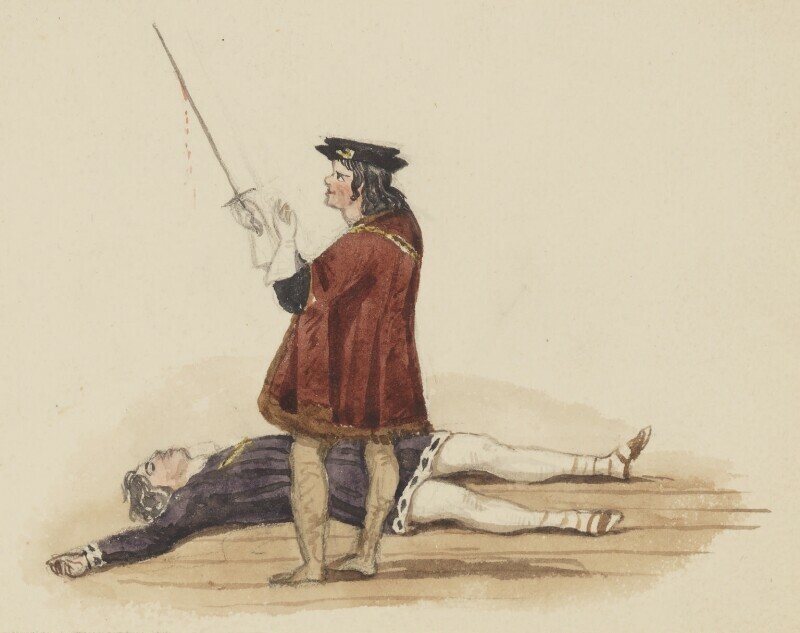 Inscribed below the drawing in ink: "What, does the aspiring blood of Lancaster sink/i' th' ground, I thought it would have mounted"
This drawing also represents Kean as Richard III. In both water-colours, Kean is dressed in a black cap, red and brown garment and brown tights. The other figure in the second drawing is dressed in purple and white. The Clerk Family; by descent to Miss Clerk, and presented by her, 1935.